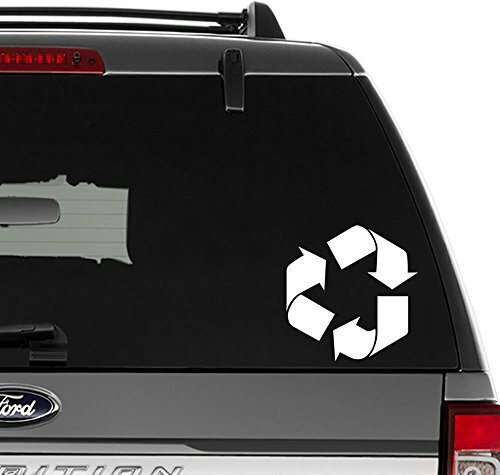 Our vinyl decal stickers are made from high quality outdoor grade vinyl material for outdoor or indoor use. Stickers are die-cut vinyl stickers with a clear background. You can apply our decal stickers on any surface but best on hard, smooth surface for long term application. Simple peel and apply and an installation guided is included with your order. |||NOTE|||: 1. The sticker image shown on the vehicle is for illustration purpose. The image has been enlarged for easy viewing and does not reflect the sticker size you are ordering. Please decide the sticker size you are ordering is the one you want. 2. We ship internationally. Please allow 2-5 weeks for arrival.Sticker size is 8 inch / 20 cm wide. Color is Gloss White. High quality outdoor grade vinyl material. No cracking or fading for years. Just peel and stick. Installation guide included.